In May, it’s time for beautiful spring weather, graduation ceremonies, and making plans for the summer. It’s also National Moving Month, the busiest time of the year for moving companies in Albany and across the United States. If you’re planning on making a move soon, take a look at some of our helpful tips for relocating during high season, brought to you by your friendly team of professional Albany residential movers at Don’s Moving & Storage. 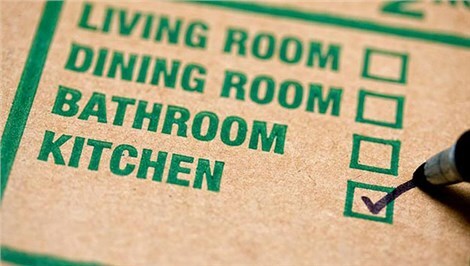 As a rule, packing up your home will always take much longer than expected, so it’s best to start the packing process as early as possible. One of the best ways to speed things up is to start spring cleaning early—preferably while it’s still winter. Start by going through your home, room by room and closet by closet, separating the items you’d like to sell, give away, or donate. As you clean, organize, and separate, set aside items that you’re not planning on using for a while, like snow gear, extra bedding, towels and sheets, and books, and place them into labeled bags or boxes. Early spring cleaning can catapult you ahead of schedule once you officially begin packing up, and make the entire process smoother and easier. As the saying goes, the early bird gets the worm—an expression that applies well during National Moving Month and the busiest time of the year for relocation. The most reputable moving companies are in high demand during the spring and summer seasons, and most begin filling up their calendars months ahead of time. For example, as one of the most popular moving companies in Albany, Don’s Moving & Storage usually begins filling up its calendar with appointments for the spring and summer rush starting as early as January and February. We recommend that you get ahead of the crowds and schedule an appointment with your Albany moving company as early as you can to avoid disappointment. During National Moving Month, the demand for moving company services is at an all-time high, which paves the way for inexperienced movers, unskilled individuals, and even scammers to take advantage of the rise in business. To avoid hiring unqualified or irreputable movers, make sure you’re doing your research to find the best Albany moving companies to serve you. 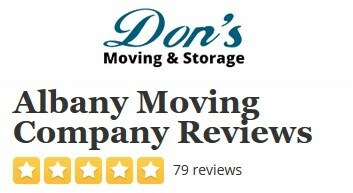 Since 1952, Don’s Moving & Storage has been providing our customers with award-winning moving services and storage solutions for local, national, and international relocation. As an affiliated agent of Wheaton Worldwide Moving, member of prestigious moving associations like AMSA and the New York State Movers & Warehousemen’s Association, and a ProMover certified company, we’ve earned a stellar reputation for top-quality customer service in Albany and the surrounding areas. To find out more about our BBB-accredited services and how we can help you get the most out of your move during the high season, give us a call. You can also schedule a free, in-home quote for our services by filling out our online form.